Jeremy Clarkson is well-known for his bad behaviour. It all began when he was expelled from school in his teenage years for drinking and smoking. Despite a disastrous past in school, he eventually managed to find his own professional path. Born in April 1960 in Doncaster, England, Jeremy Clarkson is a journalist, broadcaster and writer. He is considered an icon of anglophone culture. He is the father of three children named Emily, Finlo and Katya. In May 2014, he got divorced from his second wife , Frances Cain. She was his manager and their marriage lasted twenty-one years. In his mid-twenties, he started a career as a journalist for the local press. In 1988, his passion for cars led him to co-host Top Gear, the famous motoring TV show of the BBC along with James May and Richard Hammond. The show was not really successful at first but became one of England's favourite programme after its relaunch in 2002. 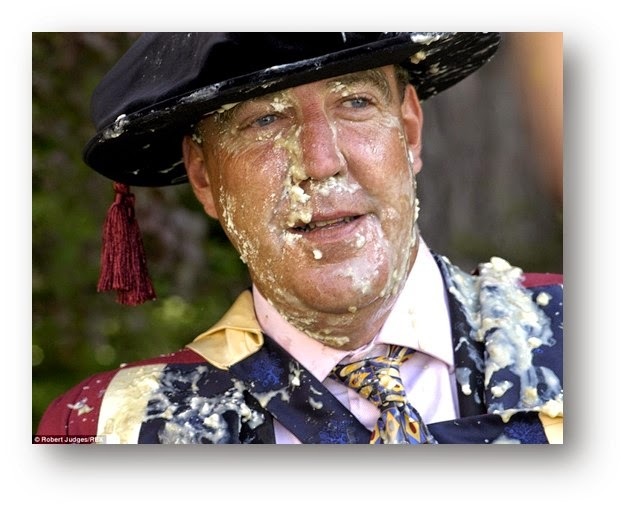 The key to this success is the humorous touch that was added to it and, of course, Clarkson’s outspoken remarks. Jeremy Clarkson also writes weekly columns for two newspapers: The Sun and The Sunday Times. 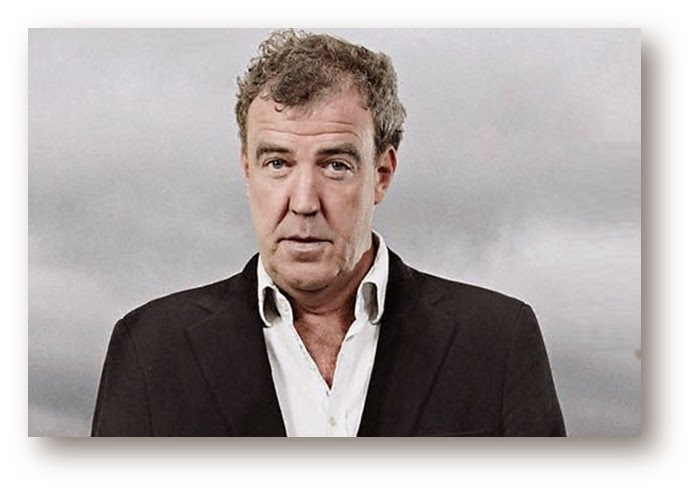 He has become a very important English personality in the 1990's, thanks to his many appearances on television as well as to his shows or his books, for example the "World according to Clarkson" series, which has achieved considerable success. As a result, his fortune is now estimated at fifty-five million pounds. Thanks to this amount of money, he was able to feed his passion for cars. One never seemed to be enough, however, and he now owns twenty luxury ones. Twenty also appears to be the number of cars he has crashed. He is loved by many people and some of them have even suggested that he could be the next Prime Minister. 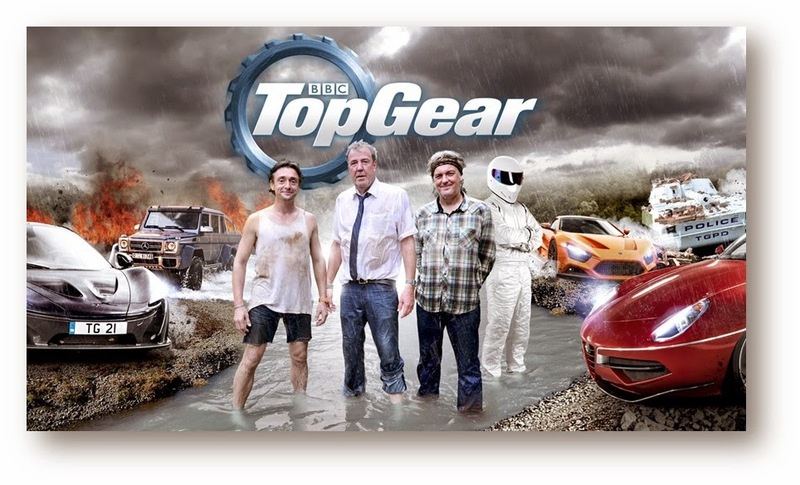 As a matter of fact, David Cameron has even said that the Top Gear presenter was a friend of his. If he is appreciated for his sarcasm and for his writing and presenting skills, he is also hated for many other reasons. He has, for example, caused many scandals following some of his racist statements. Recently, things went even further and, on 25 March 2015, the BBC announced that Jeremy Clarkson would not be hosting the show anymore. This decision followed an incident in which he had verbally and physically attacked a Top Gear producer at a hotel while filming there. The day he received an honorary degree for his championing of high standards in engineering at Oxford Brookes University in 2005 was a very special day. A woman named Rebecca Lush threw an egg at him in protest over the fact that his job was harming the environment. Even though what he does and says does not always seem nice, he recently apologized in a video for supposedly making racist statements about foreigners. As some people say, Jeremy Clarkson is someone you either love or hate.